Gamers, we need you! We need your help to raise $20,000 for the more than 40,000 kids who receive care at Northern Light Eastern Maine Medical Center, our Children’s Miracle Network Hospital! We need you to register for Extra Life 2018! Game Day is right around the corner on Saturday, November 3. What is Game Day? Great question! This is where you play games for 24 hours – any game you like! And, your family and friends can join you simply by supporting your efforts! Think of it similar to a charity walk or run, but instead of running, you are playing you’re favorite video, board, or RPG games! You may love to game, and the idea of playing games for 24 sounds great! But let’s be honest, asking friends and family to donate $5, $10, or $25 is intimidating. I thought sharing our friend’s story might help. Daniel was a young man with a contagious personality. I met him in June when he hosted a supper to raise money for kids battling cancer; kids like him who receive care at the Raish Peavey Haskell Children’s Cancer and Treatment Center in Brewer. 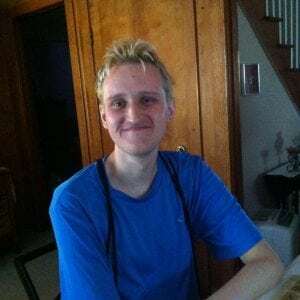 Daniel’s personality and smile drew me in, and I quickly learned he LOVED to play video and RPG games. Gaming was his passion. So was helping others! We struck up a conversation about Extra Life, and he was excited to join the movement of gamers helping local kids. We soon became friends, and he shared with me that his prognosis wasn’t good. He knew he probably wouldn’t live to be 25. He knew he might not live to see Christmas. Daniel passed away after a courageous five year battle with cancer on October 1. Register today to play games and heal Maine kids in Daniel’s memory. Share his story when you’re talking to your family and friends about why supporting Extra Life and why helping Northern Light Eastern Maine Medical Center is so important. Daniel knew what it was like to be in the hospital. And, he knew how very important games were as a distraction to keep kids’ minds off their treatments! Do this for Dan!